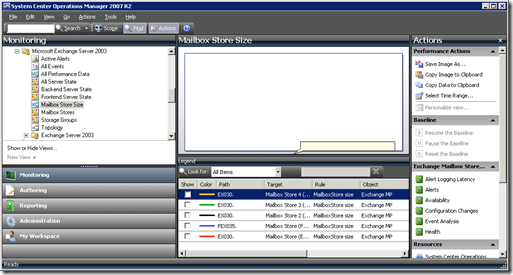 During an implementation of System Center Operations Manager (SCOM) a customer asked me how he can retrieve information about Exchange mailbox stores for trend analysis. 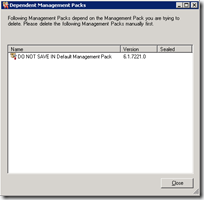 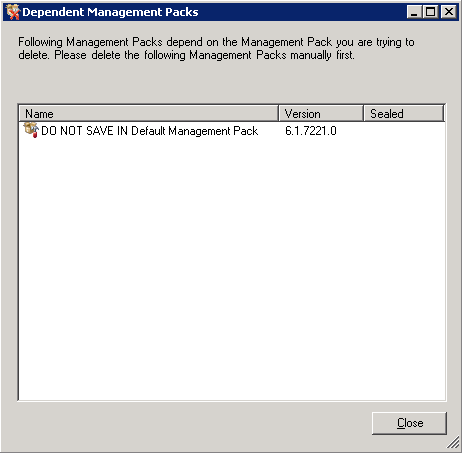 Unfortunately the managemeng pack supplied by Microsoft does not collect the size of Mailbox Stores in the datawarehouse. 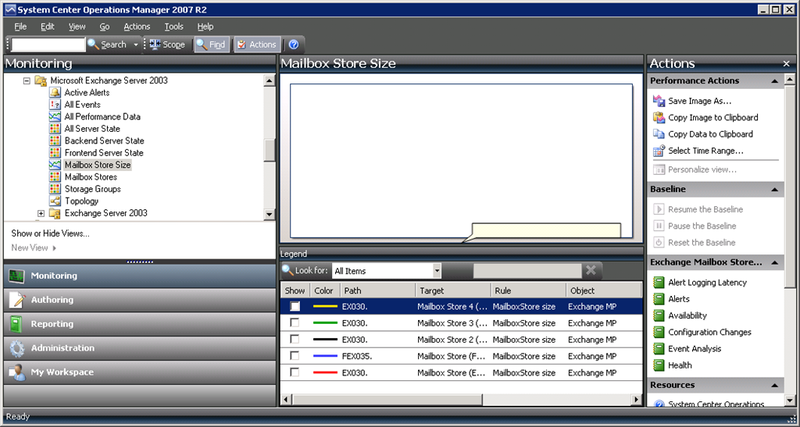 So I’ve created an add-on for the Microsoft Exchange 2003 Management Pack which adds a rule for collecting the size of Mailbox Stores.